Elegant Touch House Of Holland Disco Ball Nails - Pack of 24 Nails. 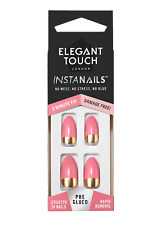 Each pack includes: 24 nails, 12 sizes stiletto and nail glue. 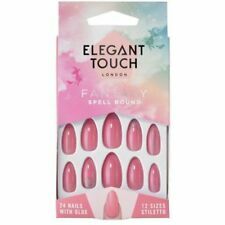 NEW elegant Touch False Nails PINK Paradise Boss Babe 24 Pack With Glue 10 Sizes. Condition is New. Dispatched with Royal Mail 2nd Class Large Letter. 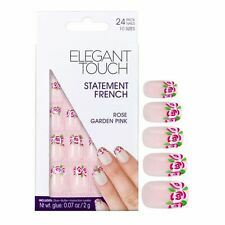 Elegant Touch Express false nails French Pink Bubbles. Condition is Brand new. Selling as no longer needed as I am a nail technician. 24 Nails. Fairy Dust. This all-in-one manicure kit gives you pretty, perfect, ping-proof nails in minutes! ELEGANT TOUCH. 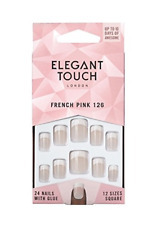 Check out the Elegant Touch Nail Guards we have listed too :D.
Elegant Touch False Nails In Metallic Pink. Elegant Touch False Nails In Metallic Pink.. Dispatched with Royal Mail 1st Class Large Letter. Box is slightly damaged. For ping-proof nails, this all-in-one manicure kit has you covered! With 24 nails in 10 universal sizes, you can have pretty, perfect nails in minutes. ELEGANT TOUCH. Daquiri Dreams. - 24 Nails. Elegant Touch. Check out the Elegant Touch Nail Guards we have listed too :D. - 10 Sizes. This all-in-one manicure kit gives you pretty, perfect, ping-proof nails in minutes! - 24 Nails. Pink Paradise. 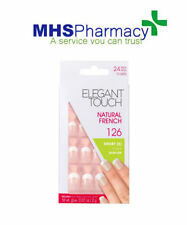 Check out the Elegant Touch Nail Guards we have listed too :D.
24 Nails with Glue Included. 10 Nail Sizes. Elegant Touch False/Fake Nails Pink Paradise Boss Babe Diamante Oval 24 Pk. 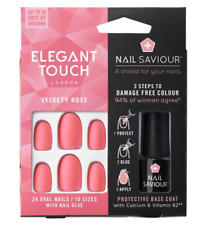 Elegant Touch House Of Holland Nail Saviour Iridescent Blush - Pack of 24 Nails. Each pack includes: 24 stiletto nails, 10 sizes, protective base coat & nail glue. Of our products are 100% authentic, and. Elegant Touch House Of Holland Bare Chains Nails - Pack of 24 Nails. Each pack includes: 24 nails, 12sizes stiletto and nail glue. Elegant Touch London "CHROME" Blossom Bae Artificial Nails Pale Pink. Baby, we know you like it hot. Who doesn’t like a little bit of bling?. What are you waiting for?.